Good health is not only a matter of nutrition, exercise or things about the physical body – on the contrary, good health depends on a complex mix of different factors, including soul and mind. 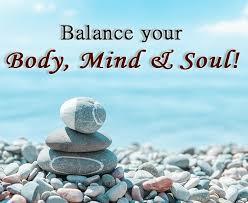 In fact, as long as you feel happy or somehow peaceful, your body will surely repay you with good health. Now, try to think what happens when you feel depressed, nervous or angry: your body gives you certain signs, such as illness or skin troubles or pain. Such signals are nothing but a way for your body to communicate to you its bad health conditions. Stressful situations cause negative thoughts that lead to physical pain. Learning: many people underestimate the importance of learning. Learning is a most essential mental activity which keeps your mind always reactive, young and ready to understand new things. Meditation: yoga and other exercises result to be extremely helpful for meditation. You have to know that meditation improves your memory skill, your mental focus, and mood and it contributes to improve your immune system and sleep, as well. As mentioned in the previous point, yoga is an excellent way to reach your perfect balance. Yoga exercises help you build muscular strength, coordination and flexibility and, at the same time, it allows you to find your own balance between your body and your soul. Get rid of all sedentary habits! Many people have bad habits that they should eliminate from their life if they really want to be healthier and live better. Sedentarism is one of the worst enemies of your health: so, avoid to sit for extended periods of time and, even when you work, try to stand up and walk as much as possible. At least 10-to-15 minutes of physical exercises are essential to re-activate your muscles. Walk or ride your bike… your hearth and mood will surely repay you over time! More time outside: during the winter season we all tend to spend most time of the day inside… as long as the weather is nice, take a jacket and go out for a walk or for a nice family trip, camping or a football match with friends! There are so many things that you can do to improve your living. Volunteering: it's not a mystery that many people love to feel helpful to others. So, if you can join a volunteering association in your place, don't miss the opportunity! Volunteering will make you discover the joy of being helpful to other people, it will make all the difference in your life! Feed your passions! It's time to find out what makes you really happy: probably, it's a hobby or something that you like to handcraft in your free time. No matter what, the important thing is that you can feed your passions and experience self-confidence and happiness. Beauty routine: if you want to feel happy with your body, begin to make your body look more attractive and pleasant. Take your time for your daily beauty routine, but remember to use natural products only. Certain sudden situations can throw us in a stressful mood. For example, what would you do if you got locked out of your home? Keep in mind that your goal is to live each situation in a positive way, so your mind-and-body balance won't get destroyed. Just call the right professionals at https://get-locksmith.com/ and prepare to welcome a residential locksmith with your best smile: this will allow you to feel better and to create the right atmosphere around yourself! Many people tend to think that forgiveness is a useless quality. On the contrary, as much as you forgive people for their mistakes (remember that you did your mistakes, too! ), you will live in a peaceful way, without sorrow or of anger. You will easily feel your soul free from negative thoughts and feelings, which leads you to be on a perfect balance with the others and with your own soul, as well. Last but not least, remember to laugh! That's the best medicine to keep negative thoughts away!